Orange County is situated in the Mid-Atlantic Piedmont region of Virginia, not far from the foothills of the Blue Ridge Mountains. 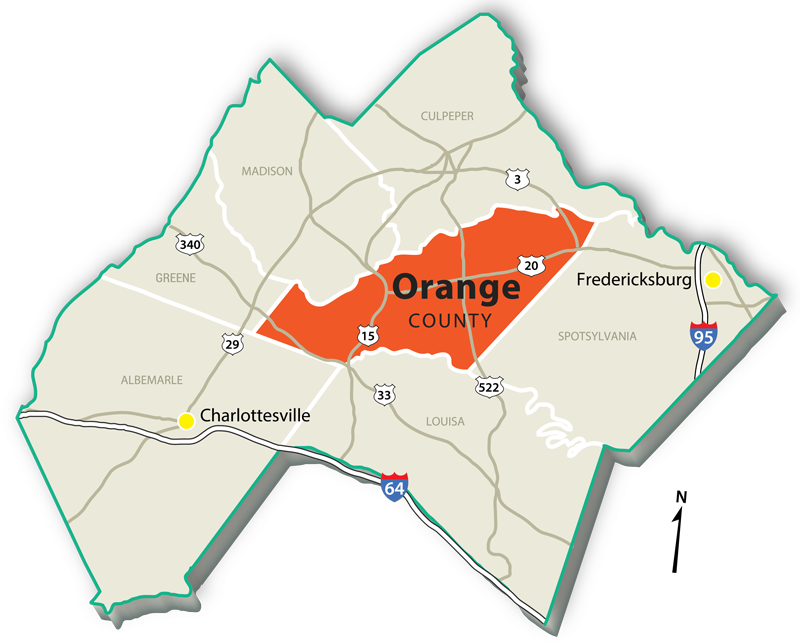 Orange County is 60 miles from the state capital of Richmond, 70 miles from the nation’s capital, Washington, DC, 160 miles from the port city of Norfolk, and 20 miles from Charlottesville, home of Thomas Jefferson’s University of Virginia. Population centers within Orange County are located at two incorporated towns and around Lake of the Woods, a planned residential community. The Town of Orange (pop. 4,800) is centrally located in the County and Gordonsville (pop. 1,600) is at the southwest portion of the County. Both towns are main centers of commercial and industrial activity, while the area around Lake of the Woods (pop. 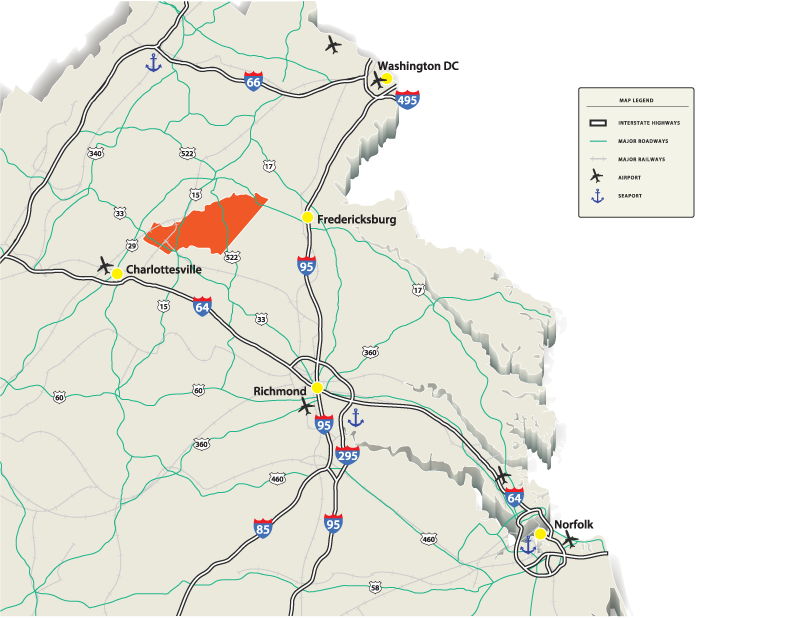 7,200) in the northwest portion of the County offers numerous commercial and consumer options. 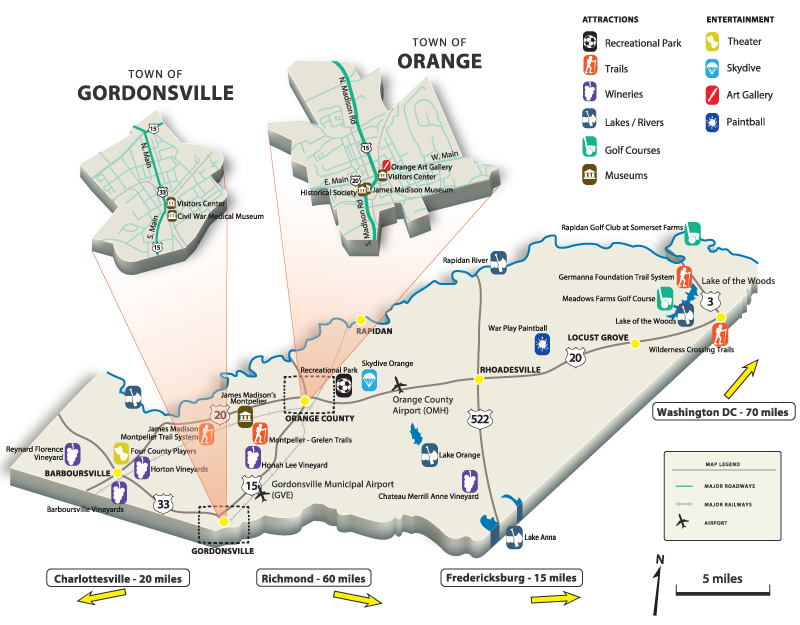 Go to the official website for the Town of Orange or the Town of Gordonsville.